Methamphetamine remains one of the most compelling and challenging problems facing America’s families and communities. The private and public sectors, including local, state, tribal, and the federal government, continue to face the social and economic consequences of methamphetamine use. The insidious reach of this drug engages more stakeholders and has led law enforcement to conclude that it is the number one law enforcement problem facing our nation. However, as with any challenge, the issue has created an opportunity to rethink and redesign the ways in which different systems work together to produce positive change. The Office of Community Oriented Policing Services (COPS) of the U.S. Department of Justice places a high priority on reducing the impact of methamphetamine production, distribution, and use nationwide. In partnership with prevention and treatment, the COPS office seeks to advance community-policing practices that promote collaboration, problem solving, and systems change. The COPS Eight State Combat Meth Initiative targets states where the Governor’s Office commits to lead a statewide planning and implementation process to combat methamphetamine use and production. Other federal partners include the Substance Abuse Mental Health Services Administration (SAMHSA) and the Drug Enforcement Administration (DEA). The U.S. Congress created the National Youth Anti-Drug Media Campaign in 1998 with the goal of preventing and reducing youth drug abuse across the nation. The Campaign is managed by the Office of National Drug Control Policy (ONDCP). Grounded in research and implemented in collaboration with the Partnership for a Drug-Free America, the Media Campaign is a strategically integrated communications program that combines paid advertising with public communications outreach. SAI founding partner Jim Copple works with the National Youth Anti-Drug Media Campaign to review public service advertising focusing on methamphetamine prevention and treatment. He has been a part of the expert panel providing commentary and recommendations for the development of many of ONDCP’s anti-drug media campaigns. In June 2007, the Center for Substance Abuse Treatment (CSAT) convened a planning group to provide input into the design of a national summit focused on methamphetamine use in the lesbian, gay, bisexual and transgender (LGBT) community, and strategies for addressing this use on a national, state, and community level. Input from that original group was used as the foundation for a summit design. Based on additional input and guidance from SAMHSA, the critically affected populations selected for the focus of this national summit were expanded to include justice-involved individuals, LGBT individuals, and women. The Summit was held November 16- 19, 2008 in Washington, D.C.
Strategic Applications International (SAI) facilitated the Summit and provided support in designing and implementing activities following the summit. These activities included technical assistance and training to state action teams, development of a webinar series, and ongoing support for national and federal partners. Not in Our House is a campaign developed in partnership with the International Institute for Alcohol Awareness (IIAA), The Century Council – a national not-for-profit organization funded by America’s leading distillers dedicated to fighting drunk driving and underage drinking – and Scholastic, Inc., and was launched in October 2006 in schools located in the nation’s state capitals. A major goal of Not In Our House is to prevent underage drinking in settings where adults are hosting parties and/or providing alcohol. The program is intended to inform adults of the civil and criminal liabilities surrounding social hosting and/or providing alcohol to underage youth. The primary target audience for this program is parents of 9th and 10th grade students. Other audiences are adult influencers like school administrators, 9th and 10th grade teachers, coaches, parent-teacher organization leaders, as well as 9th and 10th grade students. Despite progress made to reduce clandestine drug labs through precursor chemical legislation and Mexico’s restrictions on ephedrine, methamphetamine production, distribution, and use remains a widespread problem. Meth affects rural America in particular, taxing already limited and over-burdened law enforcement, treatment, and public health resources. 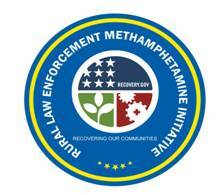 In response to meth remaining the largest drug problem in most rural states, Strategic Applications International (SAI), in partnership with the Bureau of Justice Assistance (BJA) of the U.S. Department of Justice, is launching the Rural Law Enforcement Meth Initiative. This initiative is funded through the American Recovery and Reinvestment Act.